This Lumia is only 8.5mm thick and weighs only 139 grams. It sports an innovative metal exoskeleton that is made out of aluminium and also acts as a signal transmitter. It has a back plate that seamlessly blends into the metal sides. The Lumia 925 comes with a 4.5 inch AMOLED screen. It has an 8.7 megapixel Carl Zeiss camera with OIS and a new six lenses design. It has a short pulse high power dual LED flash. The camera software algorithms have also been improved. The phone will come in white, black, and grey. Snap on covers provide QI wireless charging capabilities to the handset and will come in all the usual Lumia colours. It will come with a new Nokia camera application called Smart Camera. 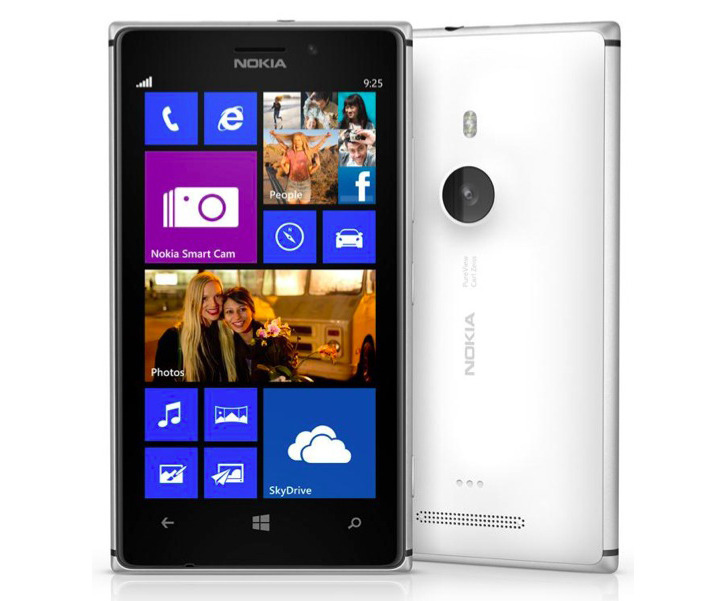 It combines all the features of Nokia’s current Windows Phone 8 software camera lenses, and also adds additional features. This feature will come to the whole Lumia Windows Phone 8 lineup in an update called Nokia Lumia Amber. It will come sometime this summer. It has 4G LTE capabilities. It will be shipping in June for around 469 euros off-contract. In the USA it will be available on T-Mobile. In the UK, Germany, Italy, and Spain it will be available on Vodafone. Nokia also announced that the Hipstamatic app will be coming to Windows Phone 8. Going and doing go hand in hand. Sometimes when we need to achieve something we just need that little bit of extra 'get up and go'. That's why I'm so excited for #Surface Go. We've packed in as many of the features that enable us to stay #productive with Surface Pro but in a more portable 10 inch form factor. So what are the trade off's? With a redesigned Type Cover that has domed keys and a huge track pad you'll be just as productive. As with any Surface the 3:2 PixelSense screen offers the perfect balance between portability and productivity. As we're increasingly #mobile at #work and at #home the Surface Go is the perfect tool for more people to achieve more wherever they are. I spend a huge amount of time travelling and in the field. I can't wait to utilise my #SurfaceGo come August 23rd.